Inspired by the author's bestselling advanced book on the topic, A Primer on Experiments with Mixtures provides an introductory presentation of the key principles behind experimenting with mixtures. Outlining useful techniques through an applied approach with examples from real research situations, the book supplies a comprehensive discussion of how to design and set up basic mixture experiments, then analyze the data and draw inferences from results. Each chapter concludes with a summary and appendices with details on the technical aspects of the material. Throughout the book, exercise sets with selected answers allow readers to test their comprehension of the material, and References and Recommended Reading sections outline further resources for study of the presented topics. 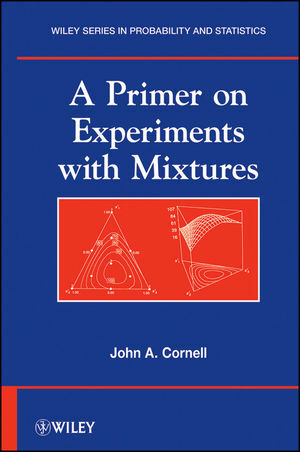 A Primer on Experiments with Mixtures is an excellent book for one-semester courses on mixture designs and can also serve as a supplement for design of experiments courses at the upper-undergraduate and graduate levels. It is also a suitable reference for practitioners and researchers who have an interest in experiments with mixtures and would like to learn more about the related mixture designs and models. JOHN A. CORNELL, PhD, is Professor Emeritus of Statistics at the University of Florida. A recognized authority on the topic of experimental design, he has more than forty years of experience in both academia and industrial consulting and was awarded the Shewhart Medal by the American Society of Quality (ASQ) in 2001. 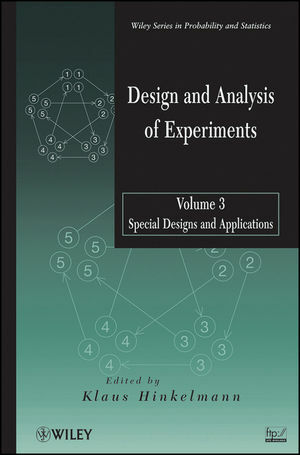 A Fellow of both the ASQ and American Statistical Association, Dr. Cornell is the author of Experiments with Mixtures: Designs, Models, and the Analysis of Mixture Data, Third Edition, also published by Wiley.